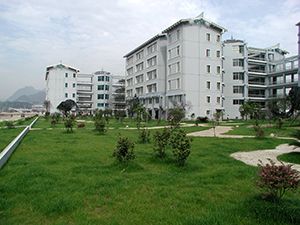 Founded in March 2000, Qiannan Normal University for Nationalities (QNUN) was granted as the first nationwide teachers' university for nationalities by the Ministry of Education and Guizhou provincial government, and it was the first local university upgraded from Junior college in Guizhou province. QNUN is located in Duyun City, the capital of Qiannan Boeyi and Miao Autonomous Prefecture. It has 1800 mu ground space, with a building area of 469,000 square meters which 249,000 square meters belong to Duyun campus among 800 mu construction area and 220,000 square meters (first-stage project) have been build for Dushan campus among 1,000 mu building space. After 15 years of hard work, we have achieved astounding development. The teaching conditions and qualities have improved, campus size has expanded, and opportunities to conduct scientific research, to serve the local economy, and for social development are constantly being enhanced. 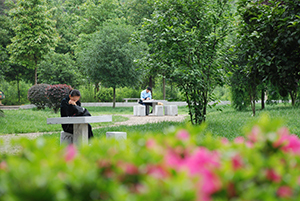 In 2004, QNUN became the first university to obtain a bachelor's degree-granting university in Guizhouprovince. In 2007, we passed the Evaluation of University Baccalaureate Programs Project of the Ministry of Education with a “Good” level, and we became the first local university approved as a postgraduate training institute in Master of Education degrees in Guizhou Province in 2011. 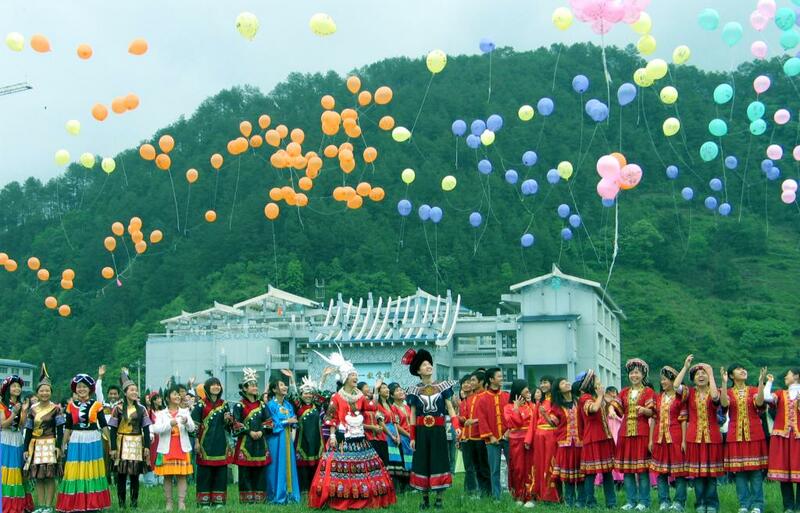 In 2012, the school authority signed a cooperative agreement with the Dushan county government, which is also the only regional university jointly run by school and local governments in Guizhou. Under the guidance of provincial and local authorities, the university has formed distinct professional, national, practical, and open school characteristics. The University comprises 16 departments, and is authorized to run 8 Master of Education programs, 62 undergraduate programs, among which 18 are Teacher Training programs, 18 non-teacher training programs, and vocational education of teaching majors. After many years’ development, it has now changed to a university with a scientific structure of academic disciplines. Based on undergraduate education, QNUN aims to build a talent nursing system with various forms and qualifications. The University, well equipped both in teaching and research facilities, enjoys a sound environment for development. It boasts an existing stock of 1.42 million books and 1.65 million E-books. In order to meet the needs of teaching and research, the Gigabit campus network system has been linked to the Internet and to China Education and Research Network (CERNET.) By now, the assets of our teaching facilities add up to 77.932 million Yuan. We pay efforts to the construction of teaching staff and the combination of production, study and research. At present, the University has a staff/faculty of 893, 796 of whom are professional teachers, including 94 professors, 325 associate professors, 28 doctors and 281 masters (those currently studying are also numbered). Among them, 16 are enjoying the national, provincial, and regional bonus, 7 are employed as management experts by provincial and regional governments, and 6 are honored as Renowned Teachers. Our University, paying equal attention to teaching and academic research, has developed strong scientific research abilities to serve the society. We have directed 11 National Social Science Funded Projects, 4 National Natural Science Foundation programs, and 161 provincial scientific research programs. The staff has also contributed 61 academic monographs and textbooks, published more than 3000 scientific papers and been awarded about 160 scientific achievements by governments. The University enrolls students from 28 provinces (cities, autonomous regions and municipalities under the jurisdiction of the Central Government). At present the student population reaches over 14,000, more than 55.7% of whom are from an ethnic minority group. 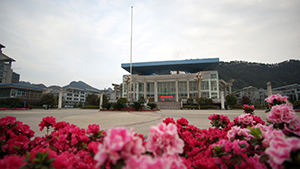 Unique campus cultural construction has endowed the university with titles such as “National Advanced Unit of School Arts Education" and "the May Fourth Red Flag Communist Youth League”. We also have won the second award from the Ministry of Education on Campus Cultural Construction Achievements. Students won several prizes by joining all kinds of competitions nationwide and employment rate stays at a level above 93%, which is higher than the average rate of other neighboring colleges. More than 20,000 students have been trained and a considerable batch of them plays a leading role in the party and government organizations and institutions, well-known universities, and research centers where they work. The University has given great attention to international education and academic exchange. So far, we have recruited and enrolled more than 200 international teachers and students from America, Canada, Germany, New Zealand, and Japan. Many scholars have been invited to give lectures in Harvard University, University of Arizona, Tehran University, and Chinese University of Hong Kong. International cooperation projects have extended to areas of students exchange, teachers’ training, and research cooperation. Looking toward the future, QNUN University is making great strides to become an influential local institute with its own characteristics.